WHY IS MANAGING BUSINESS PROCESSES IMPORTANT? The first reaction to diminishing profits (or increasing losses) is to reduce costs. Regularly, businesses announce workforce reduction – the low hanging fruit. The smaller the business, the more dependent it is on its staff. The only recourse available is to maximize efficiency by streamlining business operations, improving service quality and increasing customer satisfaction. This is achieved by implementing a business strategy based on a Business Process Management solution. If a company cannot adapt to an ever-changing business environment, it will not survive. The flexibility of changing processes rapidly and frequently can only be managed by BPM solutions which are easy to design, modify and deploy. Legislation and ongoing changes to legislation globally demand that companies have a flexible system in place to meet compliance requirements. A well-designed BPM allows organizations to react quickly and meet new regulatory requirements. 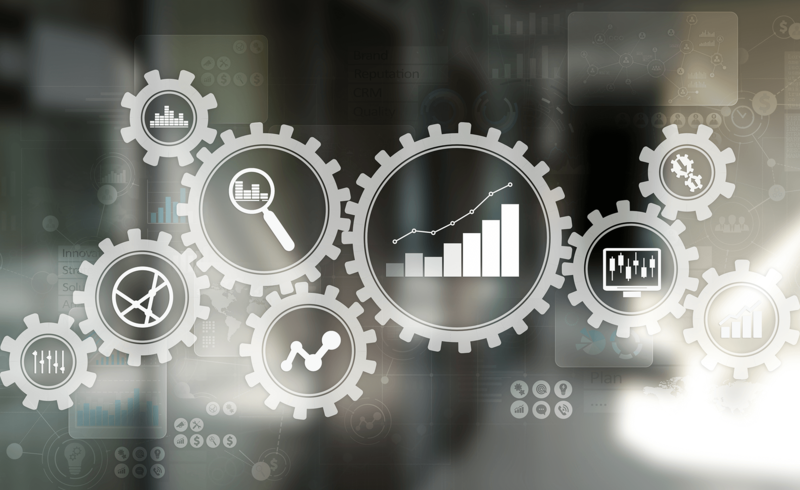 Controlled and measured automation of recurring tasks in a business process results in increased productivity, reduced downtime and greater profitability. What is the value of an experienced employee to a business? More than estimated. The cost of knowledge lost with a staff change is significant. Good BPM practices have a well-documented and easily shared process for know-how, files, and archives. All businesses have processes but few have full visibility of those processes and the jobs performed by staff members. Business Process Management offers full visibility of all tasks and jobs within an organization. Inefficient processes waste resources and the cost comes directly off the bottom line. In order to achieve full efficiency, business operations need to be streamlined to achieve customer satisfaction. Business processes are continually changing as the environment in which the business operates alters. This ongoing change can only be supported if a well-managed BPM solution is in place. Satisfied customers are vital to the ongoing success of a business. A satisfied customer brings repeat business and will bring more customers by referral. With better processes, increased productivity and service, a business has an increased capacity to respond to customer needs. A well-structured BPM solution allows employees to focus on positive outcomes for the business and its customers rather than be bogged down by disorganized and unmanageable workflows. The cost of developing and closing new customers is often underestimated. The ‘lead funnel’ needs to be fed and the attrition is high. As such, existing customers must be looked after. A satisfied customer brings more business. There is always room for improvement. Enhancements are an ongoing commitment. A strategy of continuous and controlled improvements must be backed by solid evidence obtained from a BPM implementation. Each task in a business process should be executed in the way it was designed. The right BPM solution should achieve repeatable, robust and reliable outcomes every time. The consistency of delivery ensures recurring business from customers. Kradle allows the user to view and manage overall processes as well as individual tasks. It brings operational control and ensures that all business processes are repeatable, reliable and robust.